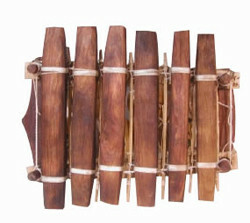 African Xylophone - Balafon - ARTE AMAZONIA provides a global voice through art for the indigenous cultures of the Amazon. 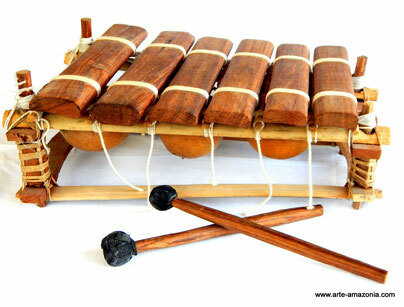 An affordable introduction to the sounds of Africa with this awesome 6 Note xylophone hand made in Gambia. Amplified by gourds underneath the wooden keys and not tuned to the western scale.